True followers of Jesus trust God’s special revelation, the Bible. But can they also trust God’s natural revelation, as an independent witness to history, as understood by science? A common apologetic argument today, for some Christians, insists that science can not tell us anything reliable about the past. Instead, we must look to the Bible for God’s revelation of history, and not to science, for answers concerning the age of the earth, and human origins. For those unaware of other alternatives, this might at first seem reasonable. This approach seeks to honor and defend the Bible as God’s Word. After all, the Bible is under attack in our culture, and if modern science is to blame, we need good reasons to refute such godlessness. Christian parents are rightly concerned about worldly influences on their kids, and so the message of Is Genesis History?, hopes to stem the tide against encroaching unbelief. But is this apologetic argument consistent with what Scripture itself teaches? Is science not to be trusted, when it comes to our knowledge of the past, and our ability to reconstruct natural history? Does science, with respect to the past, only function to explain history, as revealed by the Bible? Let me give you two biblical reasons why the usefulness of this apologetic has difficulties. The fixed laws of nature, that transcend time and undergird the practice of modern science, are reliable. Why? Because God is reliable to keep His covenant with His people. He gave us Jesus, a descendant of Jacob and David, as our King and Savior, through the nation of Israel. He has proven Himself reliable by continuing to build His covenant people over many, many, many generations, even today. True, we can not travel back in a time-machine to observe previous events. But if the Bible teaches that God’s fixed laws of nature are trustworthy, would it not be reasonable to assume that events from the past should be consistent with what we observe today? Here are a few examples, demonstrating that we are constantly looking to science as a means of understanding the past. When astronomers see distant starlight coming in from outer space, they are seeing light that was generated millions of light years ago. Unless one is willing to accept some untested hypothesis of millions-of-years old light being generated in midstream, or of light that travels at different speeds in different directions, or to suggest some other, hitherto unknown law of physics, it is extremely difficult to conclude that the universe is somehow less than 10,000 years old. When archaeologists are digging for evidence, they are looking at layers of soil that correspond to ages in the past, as clues to understanding that past. Dendrochronologists measure tree rings as a means of understanding past events. Forensic scientists analyze DNA and other criminal evidence, from long ago, in order to solve cold cases. Most scientists, whether they be non-Christians or Christians, practice their craft today, with the hope that they can reasonably create a convincing historical narrative. But if you inherently distrust science, as a tool for reconstructing history, then science will have limited value for you. Second, the Apostle Paul taught that pagans, who have no Law of Moses, effectively, no Bible, are without excuse when it comes to having a knowledge of God, as revealed in creation. Paul is quite confident that by examining creation, even in looking at the evidence for the original creation event in the past, we are given a reliable testimony as to who this Creator really is. 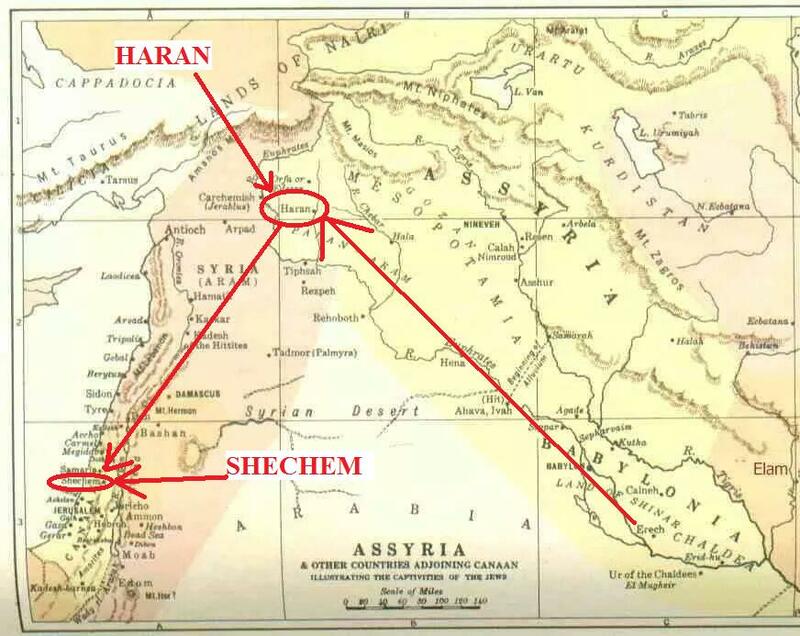 If the pagan, or anyone else, fails to recognize this, it is no fault of God’s. It is due to our failure to acknowledge what God has revealed in nature. Read the whole passage, Romans 1:18-2:29, to get the whole context, and tell me if you think Paul is saying anything differently. Then read Romans 10:14-18, where Paul recites the same theme, yet again, where even if someone has not heard the Word of special revelation, they still have the witness of natural revelation, as when Paul quotes from Psalm 19:4. In other words, Paul appears to be teaching that natural revelation, which is the domain where science operates, bears a witness to the truth of God, independent of, but nevertheless, consistent with, special revelation, the domain of where we study the Holy Scriptures. Granted, if natural revelation, as we study it through the disciplines of the sciences, can not tell us anything reliable about the past, then yes, this apologetic argument, popular among Young Earth Creationists, makes good sense: You then only need to read the Bible in order to find out the real history of the universe (assuming the Bible is being correctly interpreted). Science only comes in, after the fact, to explain the details of that history. What more could be commendable to the Christian? However, just be aware of the implications. This line of reasoning is built on a philosophical presupposition as to how we are to understand God’s revelation in nature, and it has some problems. First, it goes against the grain of how most scientists, including non-believers and believers in Christ, across all sorts of disciplines, daily practice their craft. Secondly, it also chafes against several passages in the Bible, noted above. You tell me: Should a Christian follow a philosophical presupposition, where scientific evidence about the past, on its own, is irrelevant, and ironically, its biblical basis is shaky? 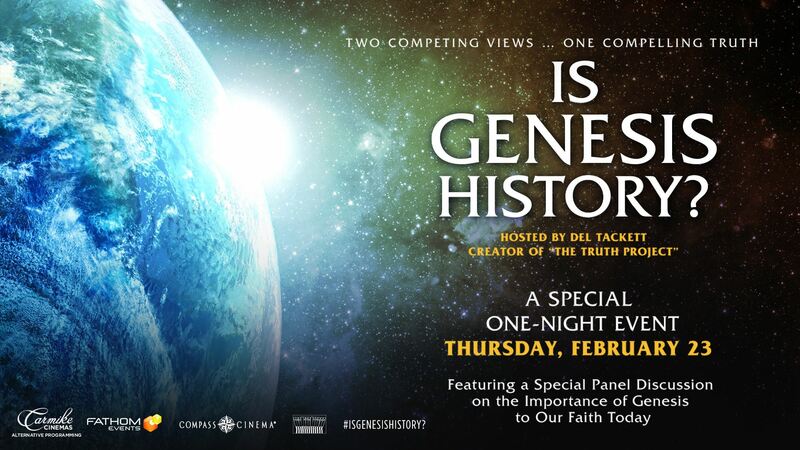 On the positive side, a Young Earth Creationist will have confidence in the Bible, as God’s special revelation. Even an Old Earth Creationist, can say “Amen” to that. But when it comes to God’s natural revelation, all bets are off: Is God’s revelation in nature to be trusted? A Young Earth Creationist can never be completely sure. Have you ever heard of this philosophical presupposition before, that “history cannot be deduced by science, only explained by it?” Well, a Christian DVD making the rounds today, that many of my homeschooling friends like, Is Genesis History?, popularizes this very idea. The film will also be in theaters, February 22, 2018. You also hear it in statements like this: “You can not trust carbon dating! The Big Bang is really just a ‘big bust!‘” If you do decide to see the film, you might want to also think about some of the alternative Christian views profiled here on Veracity, that the movie does not discuss. Explore this and other topics above, by clicking on the links, or read other articles on Veracity, by going to the search box on the blog, type in something like “creation,” or “creationism,” and click go! “Theistic Evolution:” Was Everything Perfectly Good Before the Fall? Micheangelo’s depiction of the Fall of Humanity, in the Sistine Chapel. Did evil enter the world, when Adam and Eve sinned, or did evil sneak its way into the world prior to the Fall? I have never been happy with the term, as it leaves the question of, “who is this particular God?,” up in the air. Is the theos in “theistic” referring to the God of the Bible, or some other divine concept? A lot of people believe in “God,” but that does not mean that they embrace the God as revealed in Jesus Christ. Instead of “theistic evolution,” the name “evolutionary creationism,” embraced by the folks at Biologos.org, an organization started by Francis Collins, one of the scientists behind the Human Genome Project, is a specifically Christian description, as it grounds the concept of evolution within a biblical concept of creation. 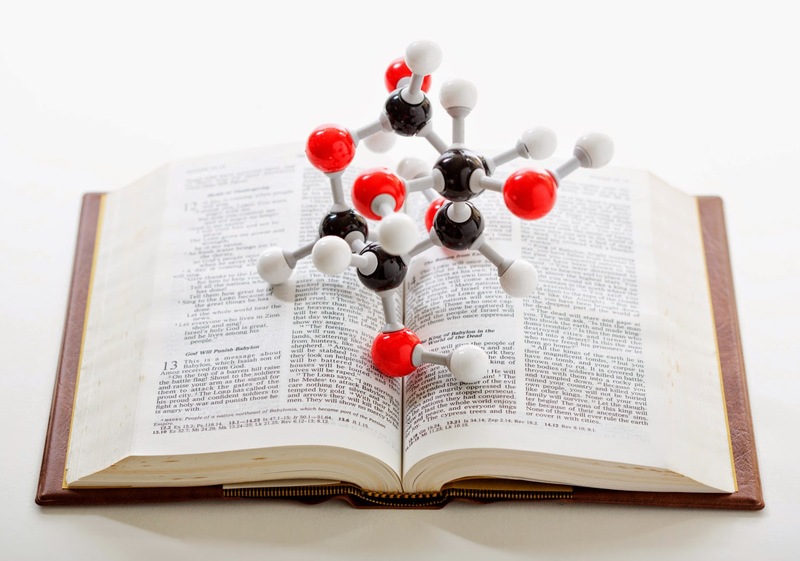 But is evolution really compatible with the Bible’s teaching on creation? 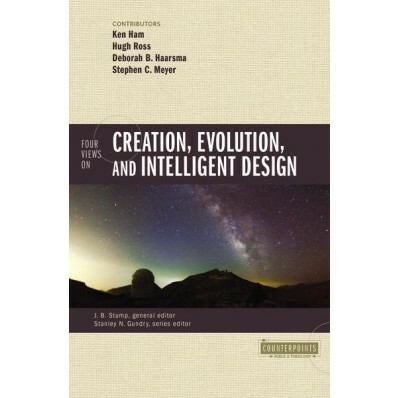 Do the authors of this new book succeed in promoting its thesis, in dismantling “theistic evolution“? Or to put it another way, in the authors’ efforts to take down materialistic evolutionary philosophy, and its influence on evangelical Christianity, have they set up a straw man? Theistic Evolution: A Scientific, Philosophical, and Theological Critique contends that the prevailing biological theory of evolution should not be accepted whole-heartedly by Christians, as it works to undermine certain traditional biblical ideas about creation. It is a challenging argument, that the thoughtful Christian, engaging with scientifically-informed skeptics, must wrestle with. Presumably the authors all hold to an Old-Earth Creationist viewpoint, one that accepts the well-attested antiquity of the earth, while denying macro-evolution. Young Earth Creationists, to the contrary, believe the earth to be less than 10,000 years old. But according to reviews I have surveyed, nowhere does the 1,000-plus page book actually take a stand on the age of the earth. ReasonsToBelieve president, Hugh Ross, has written a thoughtful (partial) review of the book. Ross, an Old Earth Creationist himself, broadly accepts the book’s thesis, but he also points out some weaknesses. 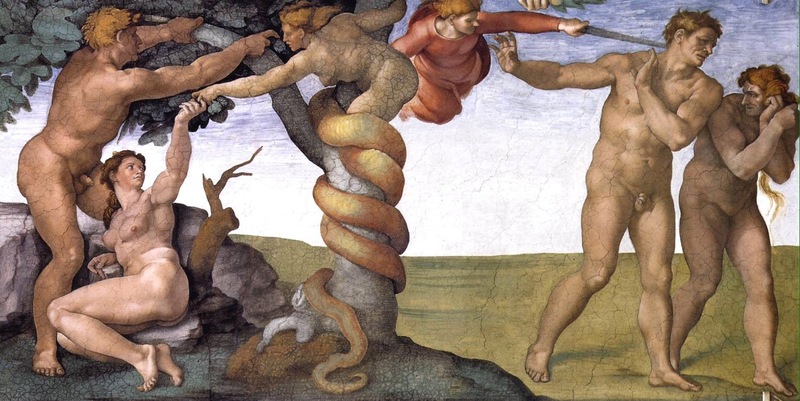 For example, at least one essay proposes that the natural order of the world only became corrupted after the Fall of Adam and Eve in the garden. It is true that God was originally pleased with what he created, declaring it to be all “good.” But does that tell the whole story of what we read in Genesis 1-3? The text also gives some indication that all was not completely hunky-dory by the time Adam and Eve first arrive on the scene. What does one make of the presence of a crafty serpent in the garden? (Genesis 3:1) If all was created “good,” how did such a deceptive creature make its way into God’s “good” world? Furthermore, did not God command the first humans to “fill the earth and subdue it?” (Genesis 1:28) Why would God insist that the earth be subdued, or domesticated, if there was not some form of elusive chaos permeating God’s good world, that needed to brought under the Creator’s control? These observations within the biblical text do not necessarily take away from the goodness of creation. Nevertheless, they are there in the text. If we take biblical inspiration seriously, we must still account for all of what the text says. As I understand the term “Evolutionary Creationism,” those who advocate for it are trying to grapple with these biblical observations. The authors of Theistic Evolution go to great lengths to say that “Neo-Darwinism” subverts the Scriptural witness, and there is much to commend this view. But do these criticisms fairly apply to “Evolutionary Creationism?” If I understand Lewis correctly, then it would appear that at least some of the authors of Theistic Evolution may have chosen to ignore the above uncomfortable, Scriptural observations. But when did this agonizing wait from creation start? Was it after humanity’s fall or prior to the fall? I do not necessarily agree with all of Hugh Ross’ critique, but I think his review is very much worth reading. If someone has read Theistic Evolution: A Scientific, Philosophical, and Theological Critique, please leave your thoughts in the comments section below, as I would like to know what you think. Here is the trailer for the book.